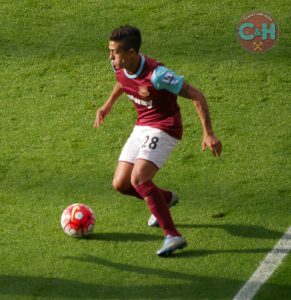 West Ham have assured fans that Manu Lanzini’s absence from the Argentina friendly international against Venezuala last Friday was pre-arranged between themselves and his nation. Fears had arisen that the Hammers midfielder could have again been injured in training as had been the case ahead of the World Cup. But in fact the club and Argentine FA had an agreement in place ahead of the match – which ended in a 3-1 defeat for Lanzini’s international colleagues -that the player could train but would not take part in the game. After such a devastating injury that was the condition that allowed him to travel for a game and assure him that he was still very much in the Argentine frame.